The Fireground Compass® is a self-extraction tool for disoriented firefighters and is a key component of fireground safety. The product combines a compass with rotating bezels. The first bezel is square in shape depicting the incident building. The second bezel shows the position of interest, ex: command post, exits/points of entry. 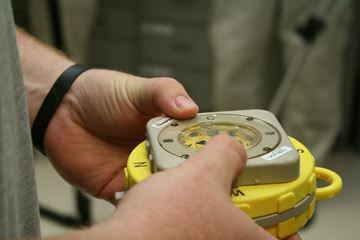 The FireGround Compass is lightweight, compact and durable.